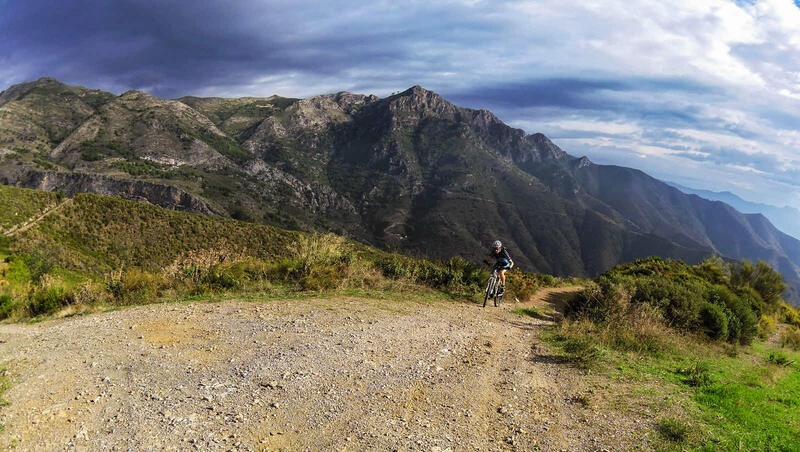 Our guided rides are available for mountain bike and road bike in the following levels: easy, medium and expert. We have lots of different rides to suit all levels of riders. Our guides have put in endless of hours searching those perfect trails and quiet smooth tarmac roads for you to enjoy. We always tailor the rides to suit your ability and fitness level but at the same time, we want you to experience the best cycling routes you have ever ridden. This usually means a bit of effort on the climb although this is more than made up for on the exhilarating descents that follow. Where there’s an up, there’s always a down! Remember that we want you to get the most out of your cycling with us so all rides can be extended, most rides can also be cut short too…..all you need to do is ask your guide! The only thing we can’t do is make the rides flatter!!! But you can be sure that your guide will find the best rides for your ability. We always try to keep the groups small, maximum of eight riders. Usually, we cycle from the front door, but some days there will be a short transfer to let us explore further afield. The total riding time is usually between 2 and 8 hours depending on your requests. Riding days are usually from 10 am to around 4 pm. Depending on the time of the year (or the weather in general) we may use early starts to avoid riding at the hottest time of the day.